Out of town guests arriving can be extremely exciting and at the same time extremely stressful. One way to cut down on the stress is to keep things organized so you know where everything is at a moment’s notice. And what’s one way to do this? With this tip I’m thinking specifically of towels and linens. If you have a designated guest room, utilize the closet or dresser space for those items. If guests stay in a child’s bedroom, keep the linens tucked away in the closet where they can’t be used accidentally. 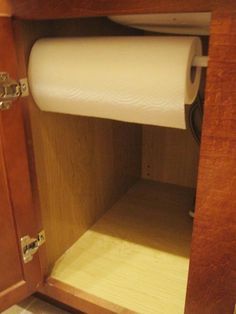 Typically I’m a big advocate for keeping everything in one place (such as a linen closet) but sometimes you have to break the rules in order to eliminate the stress of looking for something only to find it’s been used by a “non-guest”. Recently I’ve gotten several clients with larger organizing projects and sometimes they are totally overwhelming, to my clients and even to me. I typically schedule several hours at a time for jobs like these, but some of my clients have tighter time frames or budgets so longer days aren’t possible. – a general decluttering of the area. – start by eliminating the items that don’t belong. This will make what does belong easier to organize and makes the end goal attainable. Hello August and hello transitioning from summer to fall. Whether you’re already feeling the change in the weather or are still battling scorching heat, August means changing your mind set from summer vacation to school, colder weather and bundling up inside on cozy nights! Here’s a little “to do” list to get you ready for a great and organized fall! Begin to go through summer clothes/items and create a “donate” pile for those you want to get rid of. This can mean summer clothes you didn’t wear at all, clothes and sandals that won’t fit your children next summer and other summer items that are just collecting dust. Why let them take up time and space? Clean out your oven and microwave. Those 2 areas get used a lot more in the colder months than they do in the warm summer months so make sure they’re ready for whatever you bring at them this year! Did you go on a summer vacation? Go through your pictures now and organize/store them however you want (digitally or in a bin or book). Clean up your outdoor areas – this includes pruning whatever needs to be cleaned up before it gets too cold, all outdoor sitting areas and fire pits. Check your heating system to make sure it’s working properly. In the moment, it seems like there’s nothing worse than waking up in the middle of the night feeling like an icicle because the heat went out! This isn’t a long list, and I’m sure there’s more you have to do to prep for fall, but completing this list now will make the next couple months a lot easier for you and your family! Get to it! Christmas is over and the new year has begun! January is a great month to look back over the past year to see what items in your home didn’t get used. Whether it’s clothes, shoes, jewelry, tools, perfume/cologne, books, bathroom or kitchen items or other random items around the house, there are probably several things that need to find their way to the “donate”, “recycle” or “trash” pile. It doesn’t have to be a lot, but purging even a few items will help get your new year off to a good, and organized, start. I think we can all agree that Pinterest is both a blessing and a curse. As a whole it provides amazing ideas, recipes, inspiration and laughs (I could spend all day on the humor page), but it also gives an incredble influx of information that not everyone can handle and sometimes (okay a lot of times) makes us ungrateful for what we have, jealous for what we don’t have, envious of someone else, and sometimes we spend more money than we should, just to keep up with what we see on Pinterest. I’ve searched MANY Pinterest pages and boards looking for ideas and inspiration for my clients and if there’s one thing I’ve learned , it’s that, when it comes to organizing, you have to create your own system. You can’t copy someone else’s work and expect it to work flawlessly for you. Yes, you can grab ideas, find bins, labels, organizing tools and more but don’t find a picture on the internet and say, “This works for them therefore it will work for me.” It’s not going to happen. Each space is as unique as the person/family using it and should be organized that way. Here’s why – your space won’t have the same items the other space has, your needs and expectations are different from the other person’s needs and expectations, and your space as a whole is probably different, even if it’s just slight. Or maybe it’s not. Maybe it’s a cookie cutter build and you have an exact match to a space you love but guess what, you’re not that other person! You’re you! With your own life to live and with your own life that will fill that space differently. No two closets I’ve worked in are ever the same. My clients have different preferences. There may be similarities, but never identical in the items they hold. No two pantries are the same. Again, there may be similarities but I have never come across an exact match for any pantry I’ve seen or worked in. And I don’t know about you, but I love that. I love the challenge of coming up with new ideas that will work for my clients. I love the process of transforming their space to fit their specific needs. I love seeing the satisfaction on their faces when it’s done and they realize what we’ve done can be maintained after I leave because it was organized with them in mind! So yes, do your research, find ideas that will work for you, get inspired! 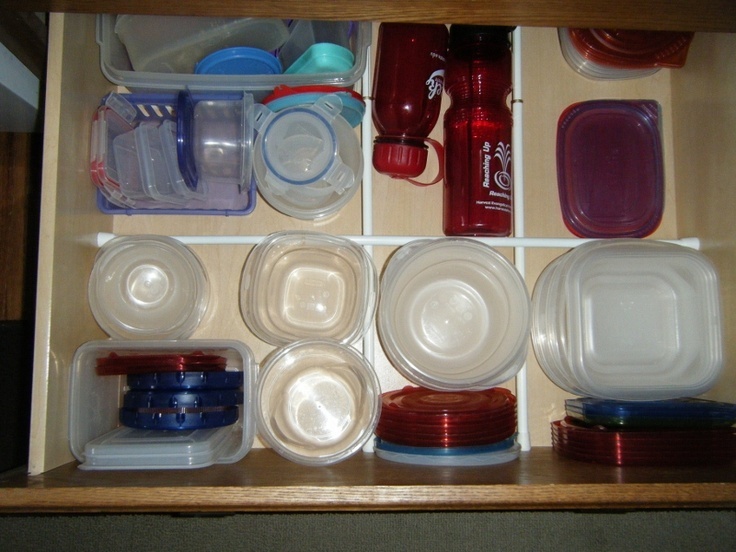 But when it comes down to it make sure the way you’re organizing fits you and your lifestyle. You’re unique and your space needs to reflect that. Have any stories to share about your own way of organizing? If you do, share it with me! Let me know in the comments below! This is a tool I really like, but it’s not one I commonly use. And that’s just because it’s not a common item to have in the house. So what’s the item? A small tension rod. The reason I like it is because it’s so easy to use and can transform spaces. How? 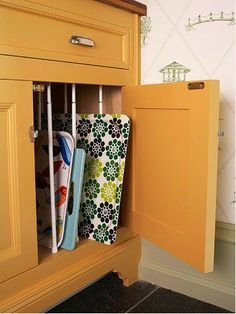 Well you can use them in your pots and pans drawer for lids, in your tupperware drawer to keep lids and containers separate and organized, under your sink to hold spray bottles, as an under the counter paper towel holder, to keep cutting boards organized, and even as a spice rack! And that’s just ideas for the kitchen! There are SO many creative ideas out there for all areas of the home. 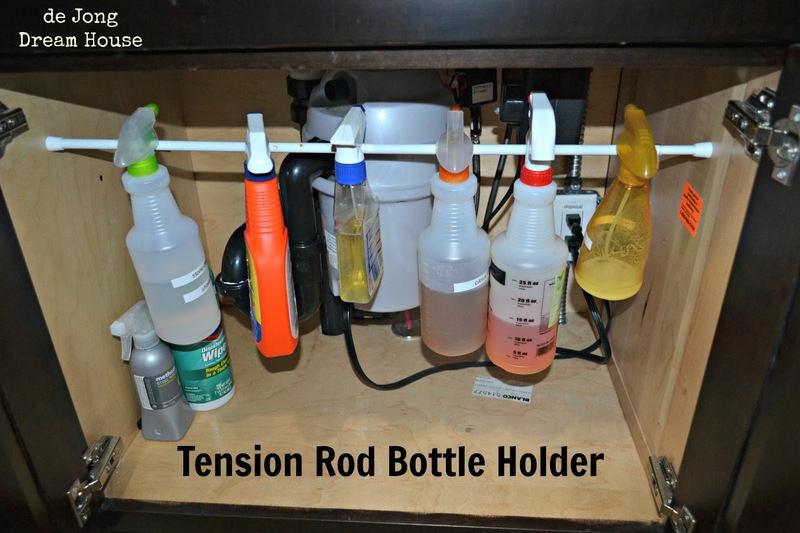 Type “organize tension rod” into your search engine and then click “images” to see so many different ways to use tensions rods. 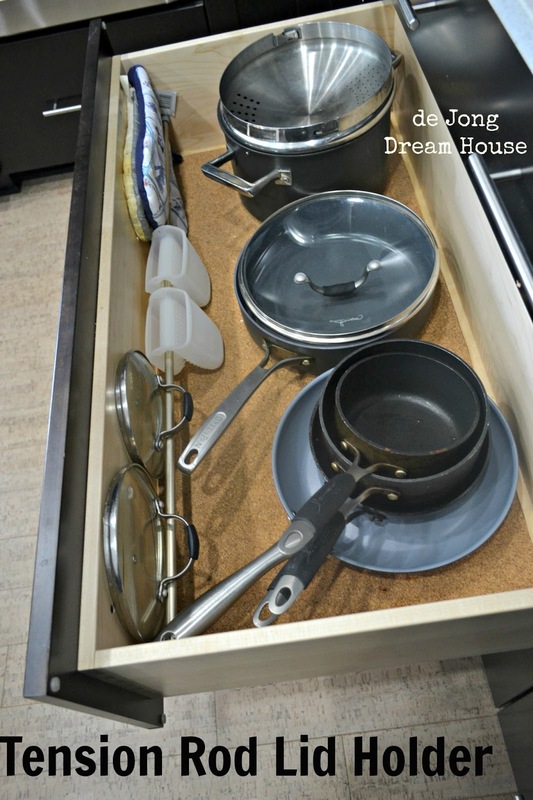 Incorporating this one simple item into your home will make your life a little easier, reduce stress and keep those spaces organized… for not a lot of money! Win win! So head over to Google and get inspired to get organized today! Do you love tension rods too? Or do you think they’re more of a nuisance? Let me know in the comments below! I love medium – large baskets. If I get to a client’s house and they have random large baskets for me to choose from I get so excited. It makes my job much easier because they’re so easy to use! Seriously, you can use them in closets, on shelves, in dens and offices, in the pantry; you can use them to store blankets, linens, stuffed animals, kids toys, winter gear, summer wear…. So many possibilities! And for you parents, they make clean up SOOO easy! Have your kids toss all of their balls into one basket, all of their stuffed animals into one basket, all of their whatever they have into a basket. Or, if it’s possible just lump all of their toys together in one basket. That’s the beauty of a basket: it’s contents don’t have to be perfectly arranged so you literally can just throw things in there. And I’m not prejudiced. I love all kinds of baskets – wicker, metal, plastic, wire, fabric, whatever. If it’s a larger basket that I can use to help a person become more organized and stay organized, then I’m all about it. Now, just to make things clear – I’m NOT advising you to go out and buy a bunch of random baskets with the hope that you’ll find uses for all of them (that’s another post for another time). But if you have a need and know you’ll use it TODAY, then go get one. It’s a simple and easy fix for clutter. Do you love large baskets too? Or do you hate them and think they’re a waste of space? Comment below and let me know!